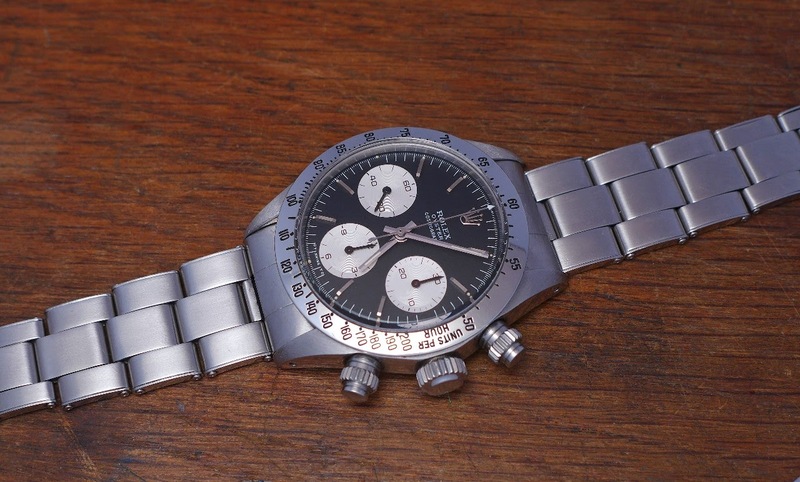 Rolex - A very nice Rolex Daytona spotted in Paris: 6265 Sigma dial. A very nice Rolex Daytona spotted in Paris: 6265 Sigma dial. Seen at my favorite Devil's Playground watch shop. 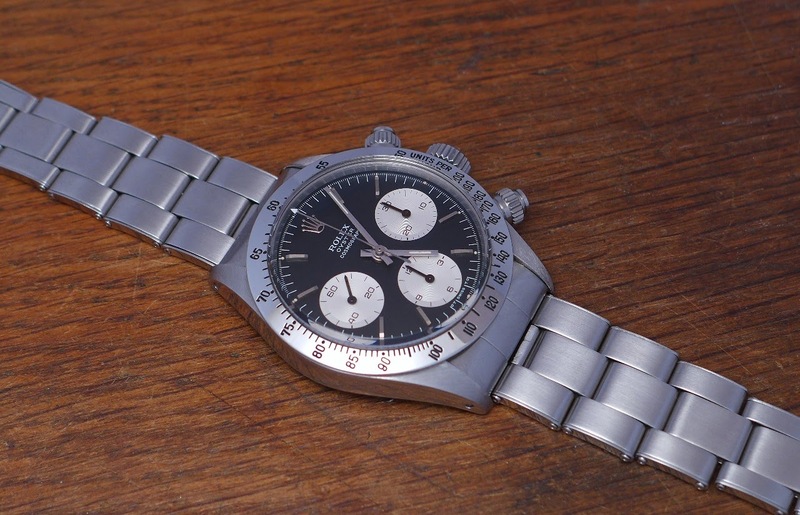 The dealer knows that I am not a huge fan of Vintage Rolex Daytonas, and he loves to show me some nice specimens, like this one, from 1972, which comes with a Sigma Dial ( OT Swiss TO mentioned at 6 o' clock ). One day, I will post all the Daytona I took in picture, modern and vintage. But I can still tell you that despite the efforts made by this dealer, friend of mine, and the beautiful pieces he shows me, I still have a strong preference for the 16520. Personally I would prefer a 6265 any day over a 16520 but we are supposed to have different views on these matters... that is a gorgeous one you got there!